For several years, The Autotrends has been the clear leader in Ford repair and service for those living in and around Greensboro. Thanks to our tremendous customer service and attention to detail, we have built a loyal following of customers that will not trust their Ford vehicle to anyone else. 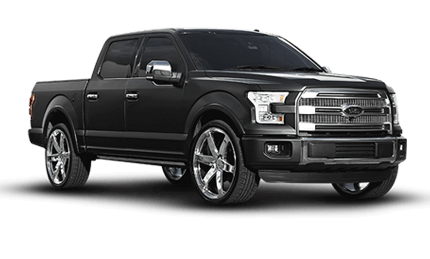 We have worked on all different kinds of Ford models, including the Fiesta, Focus, Fusion, Mustang, Taurus, Escape, Edge, Explorer, Flex, Expedition, F-150, Super Duty, Fusion Hybrid, Focus Electric and more. To make the vehicle service and repair process a little easier for you to fit into your schedule, we are happy to offer local area pick up and drop off when you come to The Autotrends for your Ford repair needs. We staff A.S.E. Certified Technicians who are qualified and experienced in all kinds of automotive work. You can rest assured that your vehicle will be in good hands – and all work we do is also backed by our warranty. If you need some quick work such as an oil change or new headlight, just stop by anytime and we’ll fit you in. If you are in need of more major work, call ahead and make an appointment that fits into your schedule. Customer service is always our number one concern, so we will do whatever we can to make the experience as easy for you as possible.